This is a simple recipe that I concocted after being inspired by a dish I tried at a Halal Chinese Restaurant. I actually tried the beef version (which you’ll find on this site) but I thought, why not see how it tastes with chicken. 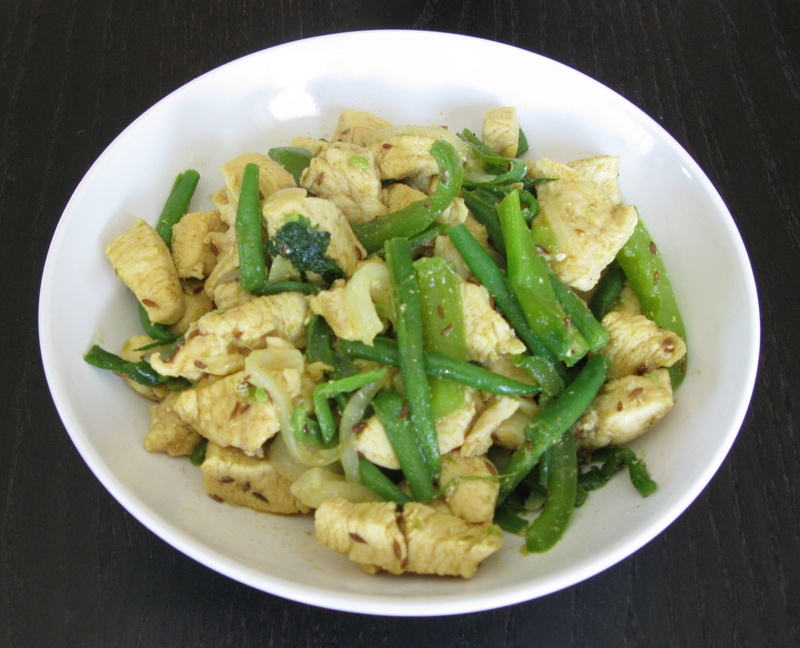 Naturally, I added my own twist to it with the addition of the green beans and curry powder. So here it is – yet another quick, healthy dish prepared and on the table within 20 minutes! 1. Wash the chicken thoroughly and cut into bite size pieces. The smaller they are, the quicker they’ll cook. 2. In a wok or large frying pan, heat up 1 tbs of oil and add 3 cloves of garlic sliced thinly. As they start to brown very slightly, add the fresh cumin seeds. Allow to fry for about a minute until you see the cumin seeds expand slightly. 3. Add 1/2 white onion sliced thinly. Fry for one minute. 4. Add the salt and curry powder followed by the chicken. Stir-fry for 5-6 minutes. 5. In the microwave or in a saucepan – prepare the green beans. You want to cook them until partially cooked. 6. 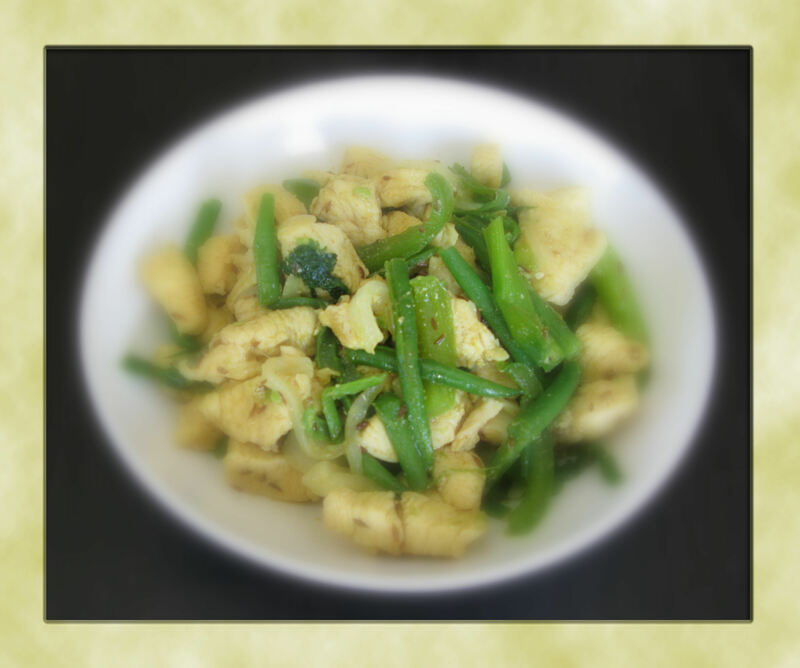 Add the green pepper/capsicum and green beans and continue to stir-fry for 3 minutes. 7. Check if the chicken is completely cooked and if so, add the scallions/green onions chopped roughly. 8. Stir-fry for another minute and then remove from heat. 9. Sprinkle a handful of fresh coriander/cilantro leaves prior to serving. Recommendations: Enjoy with white or brown rice or for some extra zest, try it with coconut rice.